A one-year-old puppy volunteered to help his owner clean the house with a mop in southern China. 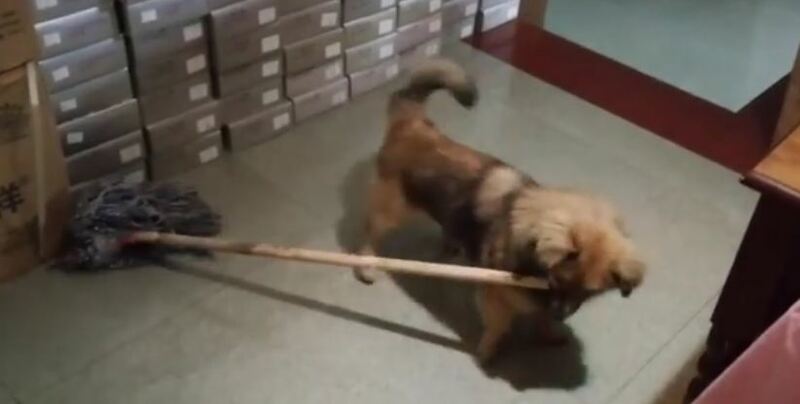 The hilarious and cute video, filmed in Zigong City in Sichuan Province today (February 6), shows the puppy named Sha Gou (Silly Dog) holding a mop in his mouth and moving around the house to try to sweep the floor. According to the filmer, the dog grabbed the mop from her mum when she was about to use it to clean the house.